Madsen Modern restores and sells superb vintage furniture. Founded in Seattle in 2011 by brothers Brandon and Brian Madsen, the company specializes in mid-century design with a focus on Danish Modernism. The Madsen brothers search the earth for the very best vintage furniture, sourcing the pieces with the most compelling designs and finest materials. 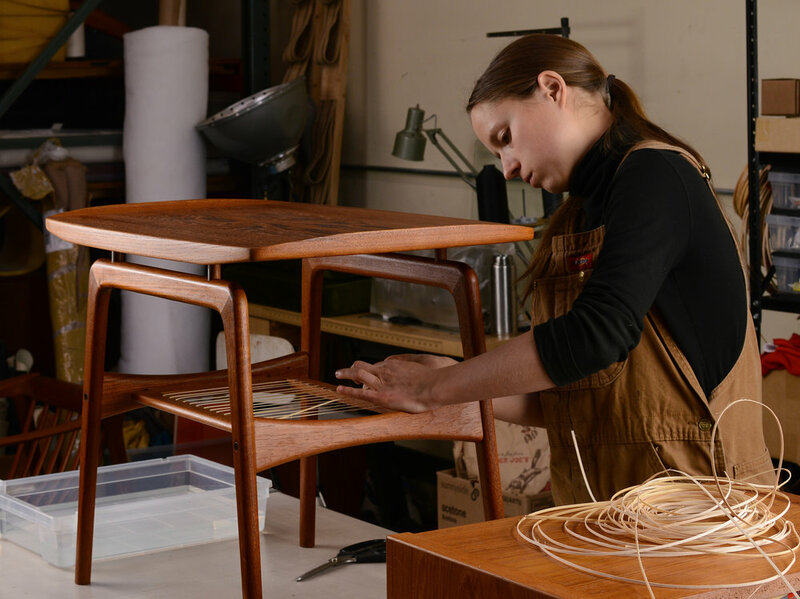 With their team of highly skilled craftspeople, they restore furniture to its fullest potential, resetting it for another generation of use while keeping one eye on historical veracity and another on contemporary relevance. The results speak for themselves: the best vintage furniture in the best condition without compromise. For more on Madsen Modern's story, read a profile in the Etsy Journal here. Wondering what Madsen Modern's customers think? Click here for reviews.